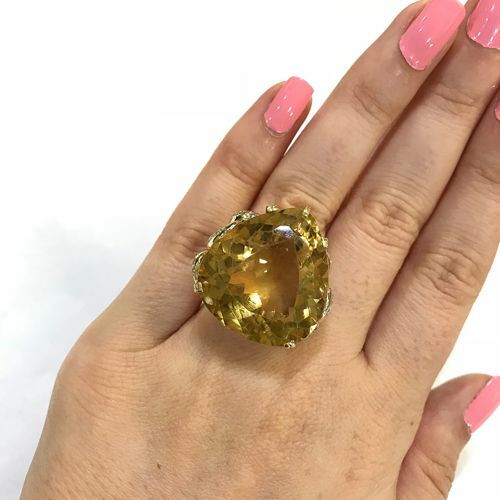 A stunning modern 18kt yellow gold ring featuring 1 pear faceted cut medium intense golden yellow citrine, est. 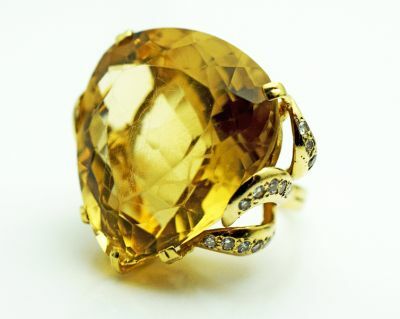 51.49ct (approx 1 inch or 2.54cm in diameter) and 40 round brilliant cut diamonds, est. 0.77ct (SI clarity & H-I colour).